I just watched a short film – or more precisely, a music video by Porter Robinson. Although he is an American artist, he contracted with A-1 Pictures a famous Japanese anime studio — It’s being marketed by crunchyroll (who most people associate with “anime”) — and the film first debuted in Tokyo, Japan, to an audience of Japanese people. Although it is marketed for worldwide release and distribution, it was developed, drawn, animated, and premiered first in Japan and made by a famous anime studio consisting of largely Japanese staff. It is a Japanese animation, or anime for those facts alone. It’s true that similar “Big Eye, Small Mouth, Brightly colored” animated films are NOT anime – I fully agree. RWBY and Avatar and Kora for example are not anime – because they are not made by Japanese anime studios, they are made by westerners. So what if someone is “paying” or “contracting” the studio – Is anime, and the animation studios not allowed to be paid for their work? How does that fact alone disqualify Shelter from being an anime? Also bear in mind, anime is gaining global attention and branching out to a global market. Long gone are the days where anime was a niche hobby back in the 90s. It is becoming increasingly more mainstream. Perhaps some fans feel threatened by this, that their hobby will become too “mainstream” and not “cool” anymore – but going “mainstream” is a good thing – when studios can make money and increase their audience share, this means more anime will get made! The lines of what defines “anime” are quickly beginning to blur. One example of this is a Studio Ghibli series coming to Amazon Prime in the near future. It’s been contracted by Americans, but being developed by a famous Japanese anime studio. Other examples of anime contracted by an American company but produced by a Japanese anime studio include 7 Deadly Sins and Perfect Bones. My take is – if it comes from a Japanese anime studio – and has all the markings of an anime (similar animation style, writing techniques, etc) – then it’s an anime. Shelter takes it a step further and even has original audio in Japanese by a talented Japanese voice actress. This further proves it was originally intended for Japanese audiences. 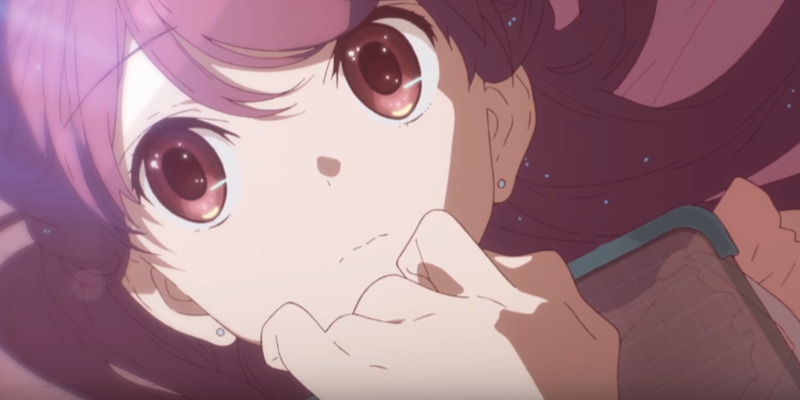 But you can watch the anime for yourself below and decide if Shelter is an anime, or just a cartoon. It’s a beautiful short film about a lonely girl who finds escapism in a game very similar to Minecraft. After watching this film, I really want to play Minecraft, or similar voxel games such as Peria Chronicles or Islet. Posted in Anime, Anime News, Anime Review, Editorial, Kawaii Cute, Music News, Music Review, News, Opinion, Review, TV and FilmTagged Anime, Anime made by americans, Anime Short Films, Are all cartoons anime?, Crunchyroll, Crunchyroll Orginal Anime, Debate, Editorial, Is 7 Deadly Sins an Anime?, Is Avatar an Anime, Is Avatar the Last Air Bender an Anime?, Is Glitter Force an Anime?, Is Perfect Bones an Anime?, Is Porter Robinson's Shelter an Anime?, Is RWBY an Anime?, Is Shelter an Anime, Isn't anime Just cartoons?, Netflix Original Anime, Opinion, Porter Robinson, Porter Robinson's Shelter, Short Film, Studio Ghibli, Studio Ghibli Amazon Prime, What is Anime? What is the difference between anime and cartoons, What is the difference between an anime and a cartoon?